Sonic Youth performing 'Daydream Nation', GZA/Genius performing 'Liquid Swords', and Slint performing 'Spiderland'. 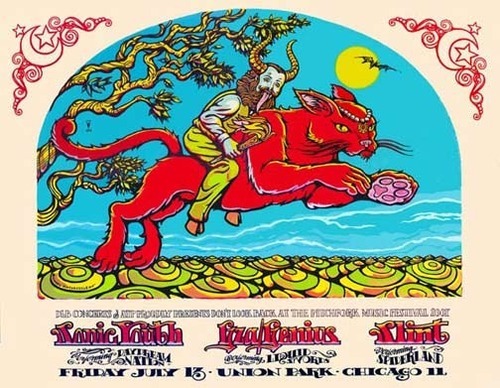 Live at The Pitchfork Music Festival, Union Park, Chicago, 13th July 2007. Limited edition signed & numbered screen print designed by Michael Motorcycle.